"V" stands for "vibrant" in this women's ring! 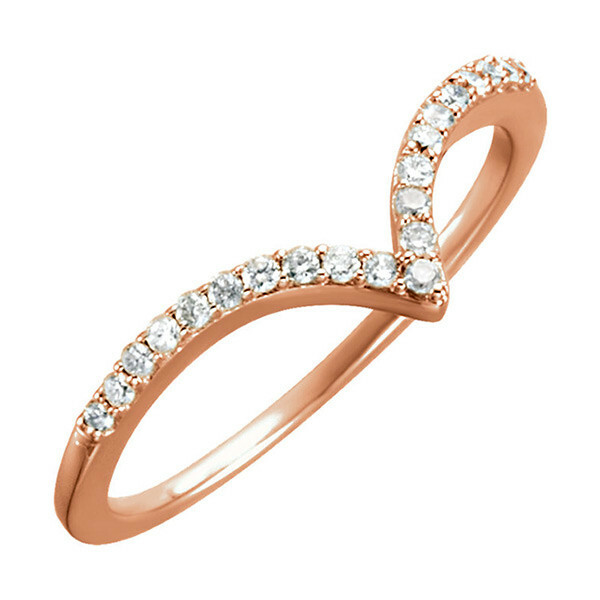 Crafted in 14kt rose gold, it features a wing of diamonds. You'll find numerous occasions to wear this warm-hued ring. Go ahead; get ready for a new "go-to" in your jewelry box!